It seems fitting that our movement/program/idea/open collaborative “thing”, which we piloted at the OLC’s #et4online conference as #et4buddy, would have its first formal conference presentation at another OLC conference, #olc15 – coming back as “Virtually connecting” (a word that does not appear in the abstract or title because… umm… we proposed the presentation like a few days after #et4online was over and we didn’t know if we would ever do it again!). It was also awesome to have people in the room who had participated in the earliest hangouts (Micaela Seals @micaelaseals was onsite at #et4online; Patrice @propatrice was onsite for #et4online and is now a buddy for #olc15 and #dlrn15; Cindy Jennings @cljennings was virtual for one of our first hangouts – and is now an onsite buddy at #olc15!). 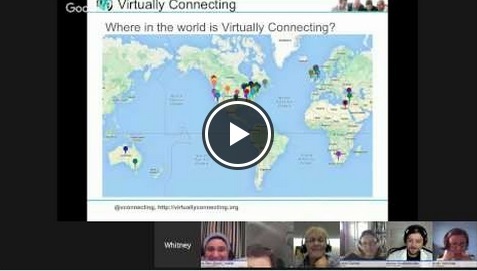 And true to a virtually connecting session, we had virtual participants: buddies Autumm @autumm, AK @koutropoulos, and Helen @hj_dewaard joined in; they also participated in the presentation a bit. And we had two new people in the hangout (but they are both friends – Alyson Indrunas @alysonindrunas and Lisa Chamberlin @chambo_online). Rebecca had an appointment but thankfully came online just at the part she was meant to be saying – which was great! I will stop writing now. Here is the hangout. Big thanks to Alan Levine (@cogdog) for figuring out a way to automate the creation of this map (I am sure he will blog the steps and it will seem like the easiest thing in the world) and for being patient as we fiddled with it. A good participant question near the end asked about our process and made me realize we probably need to write it out much more explicitly. Will work on it. Preparing this presentation was both exhilarating and reflective for us. Going back to look at the data months later, knowing where we have come now, we realize we had addressed a lot of the suggestions for improvements, but also both overlooked and forgotten what it seemed we had been doing (pairing up two people) as we morphed into something else (pairing up groups of people with groups of other people for a third group of people – first group is onsite buddies; second is virtual buddies; and the third group are the onsite and virtual guests who join for fun without being involved in the organization aspect). I think our model is much more sustainable and is proving to be scaleable, although it’s getting a little nuts with the huge number of people at #dlrn15, which, to be honest, might be the limit of our scale without a part-time logistics employee!!! 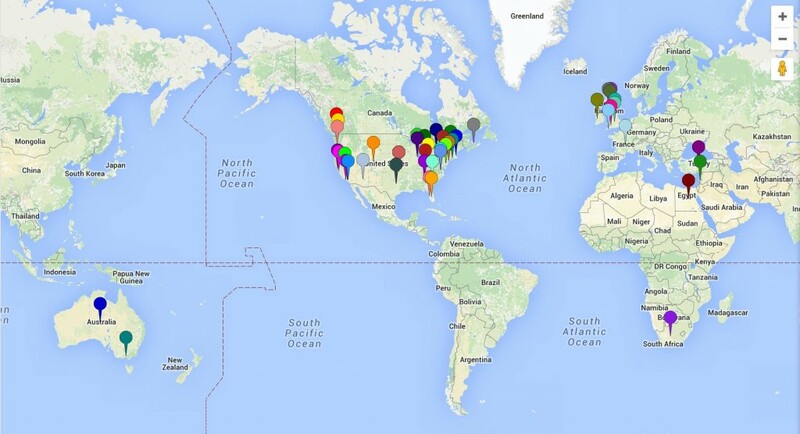 Just yesterday we published on Prof Hacker some lessons learned from how we grew Virtually Connecting. In two days inshallah we present at #dlrn15 what will be a very different kind of presentation; more workshop-like and involving breakout sessions for people to experience a typical hangout. 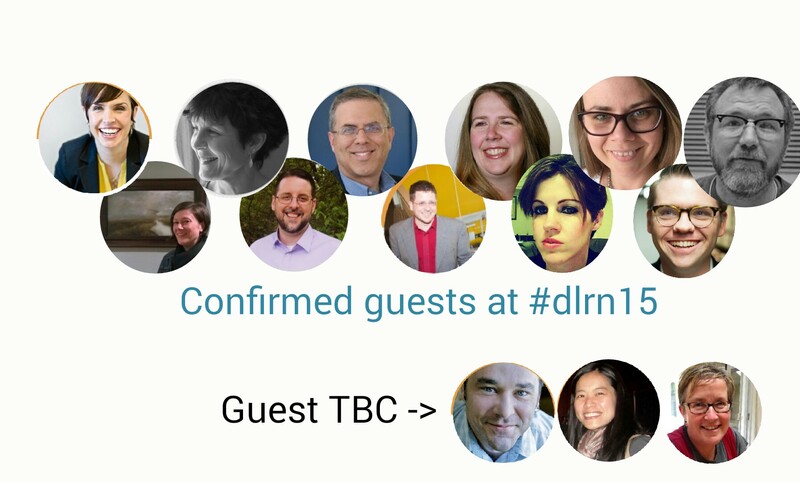 Spaces for #dlrn15 hangouts (all 10 or so of them) are nearly full and we have a waiting list now! Looking forward to it. And one more virtually connecting session at #olc15 tomorrow with keynoter Phil Hill @philonedtech (and possibly Michael Feldstein) at 11:30 ET. Still a few spaces in that one for virtuals to join in.